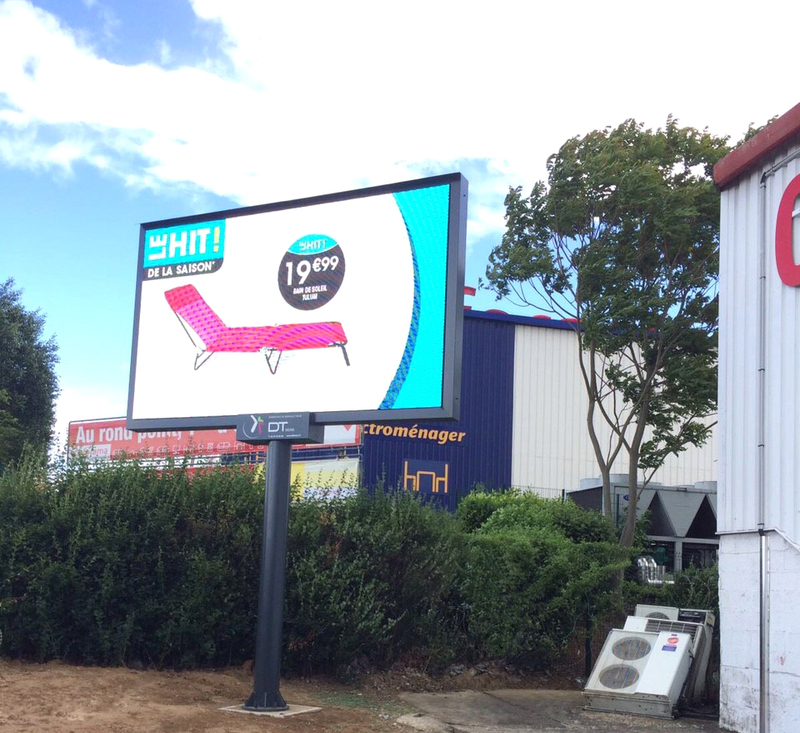 Installation of a new LED digital panel on mast for a shop in Saint-Maximin. It allows to communicate easily on its special offers due to an integrated software in the panel and connected to a computer. Its brightness automatically adjusts according to the external environment (night, day, sun, rain…) for the image to always be visible by far and near.